Windows has a somewhat unfair advantage when it comes to running applications. Being so popular means it has a large number of unique and innovative applications which are exclusively bound to it. On the other hand most Linux application are open-source and have a port available for Windows. This essentially leaves Windows with its share of application and those of Linux as well! 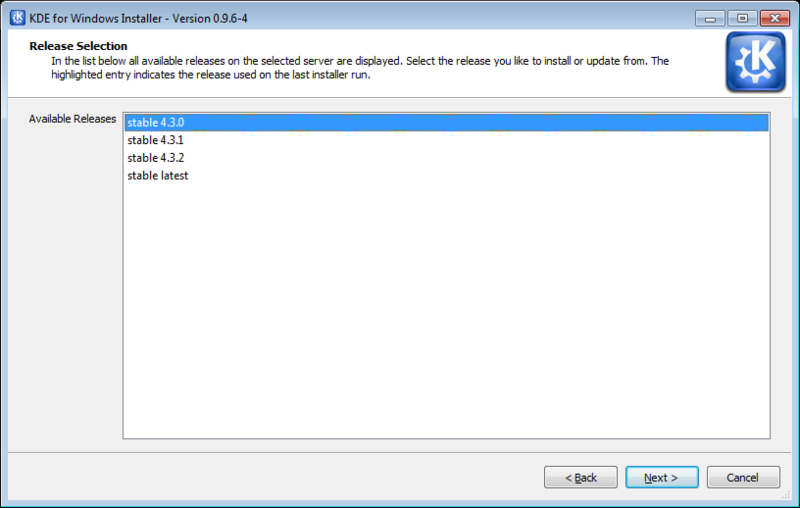 With Qt 4, the framework was released under GPL for all platforms, which meant that applications using Qt could now easily be ported to Windows. 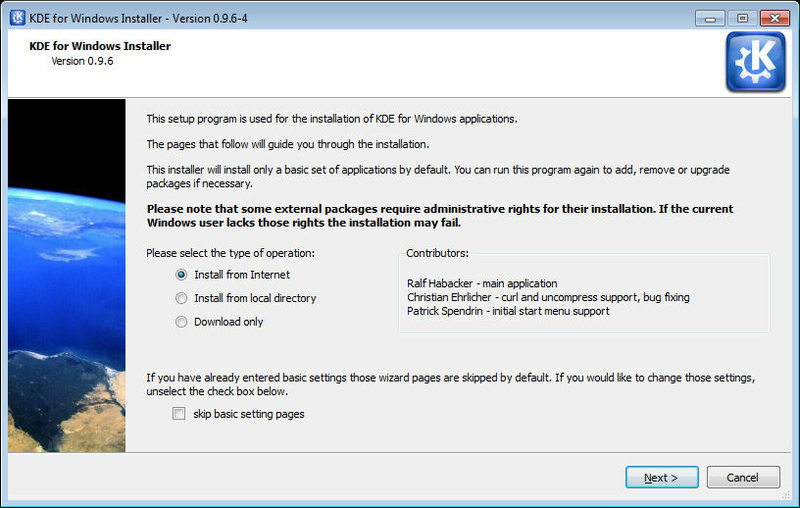 The result is that now we have a functioning build of KDE for Windows with an easy to use installer which can also manage your package installation. 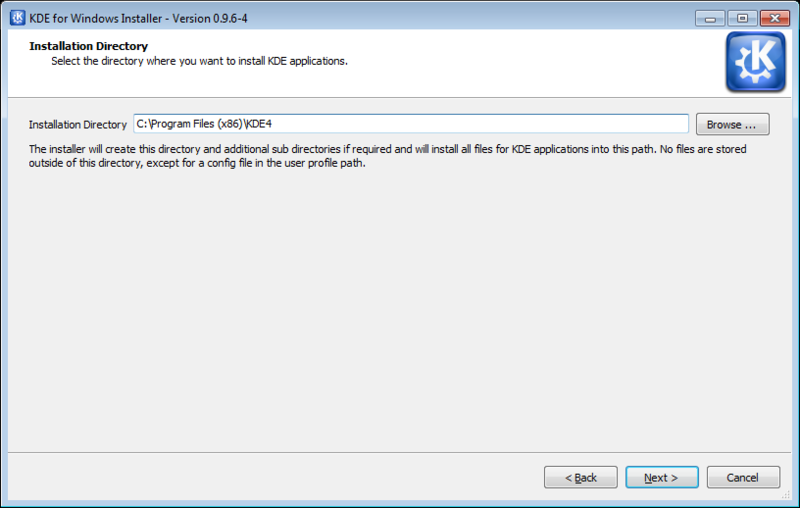 To a limited extent, this means you can get a KDE experience on your Windows system. Still being primarily a Linux desktop environment, this is only a small taste of what the desktop brings. 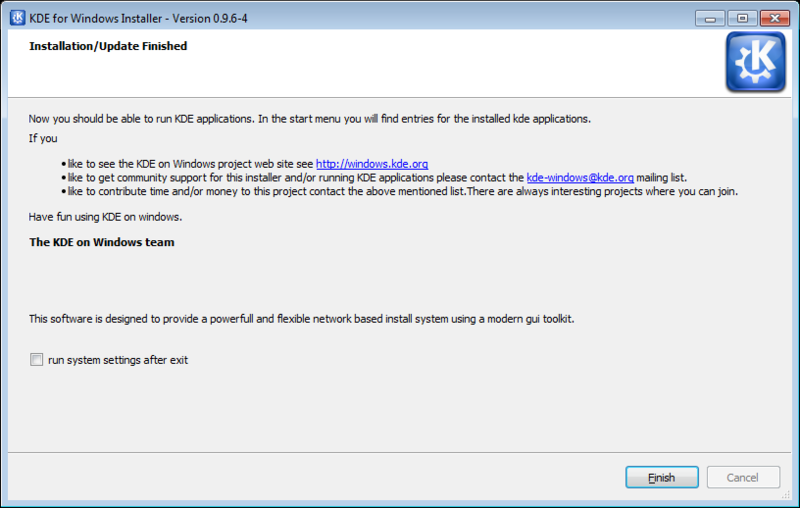 It is important to note that KDE 4 for Windows is not a complete desktop environment, but rather just the collection of some of the application that are available with the Linux version. While it does come with the KDE shell, its functionality is severely limited, and is not a suitable as a replacement for the Windows environment (As of 4.3). 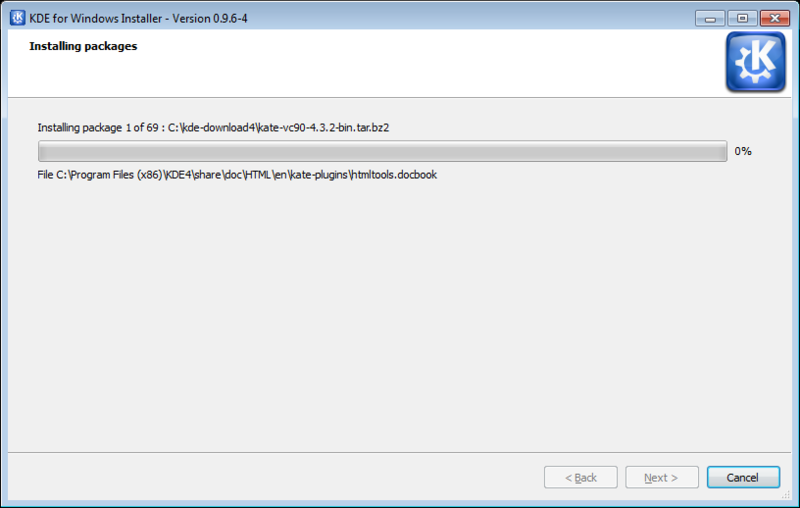 However it is a good demonstration of some of the functionalities of KDE under Windows. KDE for Windows is organized like any other Linux software, and for those uninitiated in Linux, it might be a little off-putting. 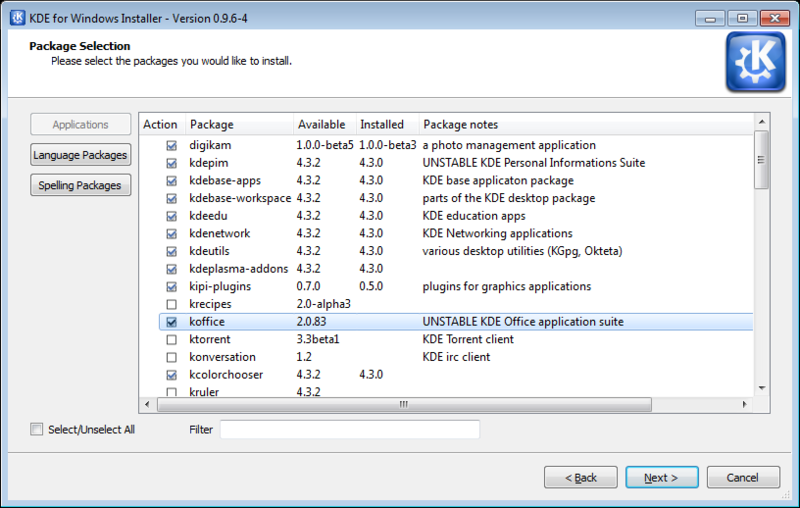 Different applications in KDE are all available in separate packages, which share dependencies. 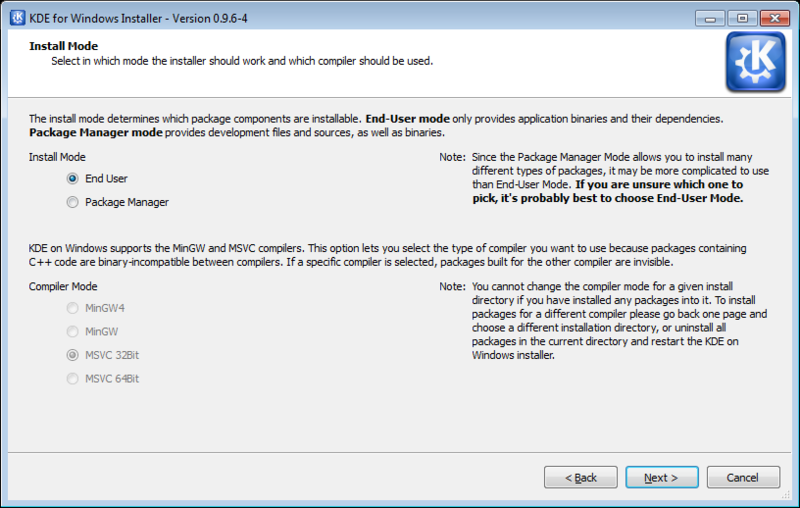 Meaning that since two applications might use some similar functionalities, the common stuff is installed only once. The installer manages all this for you so you needn't worry. Step 10 Your part is now done! The installer will now start downloading the packages. Step 12 Your installation is done! You can now launch KDE4 applications from the Windows start menu. 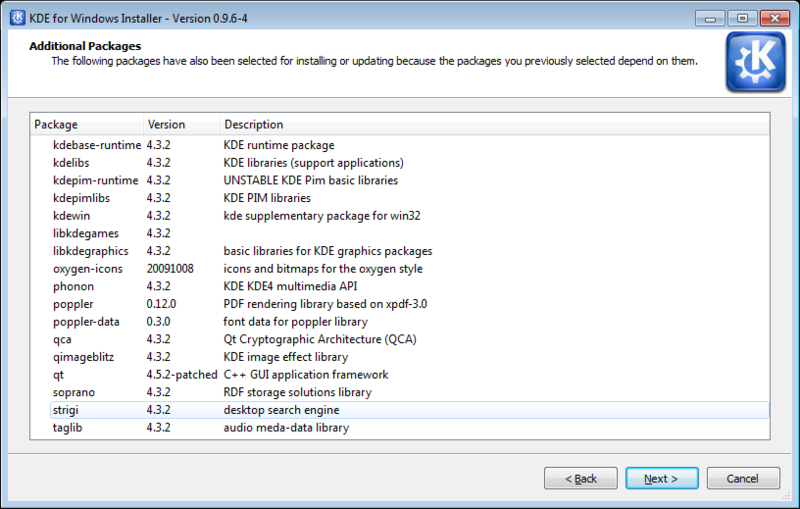 After installation you will see all KDE application show up in your programs menu, under a "KDE 4.3.x Release" folder. The applications under that are catagorized by function as they are in Linux.